The North West has continued to surpass other areas of the UK in terms of property price growth, and property investors have been looking to the region for the best investments available. With economic uncertainty still hanging over the UK, property investors need to make smarter decisions than ever before. With London property prices lower than ever before, they are looking for alternatives and finding more than enough opportunities in the North. The North West has been flourishing despite Brexit uncertainty and a nationwide house price growth slow down. In fact, the North West had the highest price rises out of every other region in 2018 compared to a year ago according to the Office of National Statistics. Property values were up 5.6% on the previous year in July, which is impressive, especially compared to London where prices were 0.7% lower than the previous year. The North West has been rising on the agenda of investors across the world who are looking for high growth and competitive property opportunities. Property investment companies like RW Invest are increasingly offering properties just in the North West region, with properties in Liverpool, Manchester and the Wirral offering fantastic opportunities for capital appreciation. This doesn’t seem to be an anomaly though, it really does look like the tides have turned and the North West is now the country’s premier destination for property investment. When looking further into the future, recent research has suggested that house prices in the North West will rise by an incredible 21.6% over the next five years. This was the highest forecasted growth for any region, with prices in London only projected to grow by 4.6% over the same time frame. For investors who are looking for long term growth, investing now in North West property will provide the opportunity to gain substantially in capital appreciation. Cities in the North West have benefitted from major regeneration and investment over the last decade, with targeted growth programmes transforming areas of the city. Regions like Salford, which once had a rough reputation, are now modern, chic and sought-after locations, with the MediaCity development drawing huge businesses to the city. In Liverpool, projects like Liverpool Waters, the Fabric District regeneration and Project Jennifer are all impressive schemes which have turned unloved regions into high end residential areas. The North West also performs well when it comes to rental yields, with Liverpool boasting six of the UK’s top 25 postcodes for rental yields. Its L7 postcode came first with rental yields of 11.79%, while L6 was second with rental yields of 11.52%. 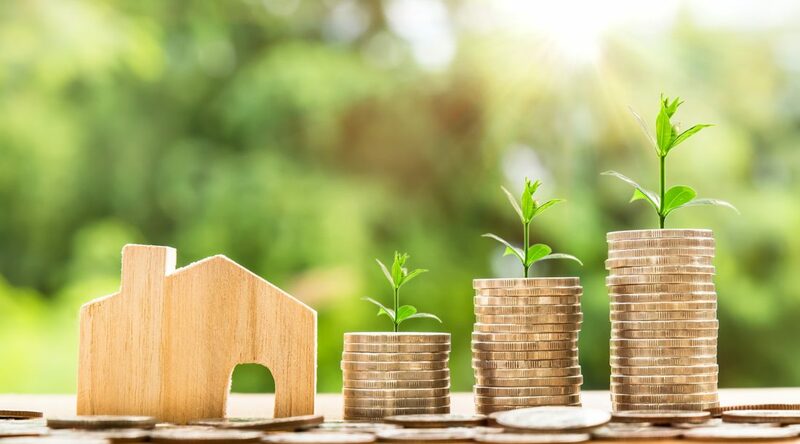 For property investors, this means that not only will their property increase in value over time, they will also be able to earn substantial rental yields which can help pay off the investment sooner. The UK still has considerable opportunities for property investors, and if they look to the North West, they will be impressed with both rising house prices and rental yields. It is always worth performing due diligence and finding the very best opportunity available, but the North West is a great starting point.